"To end up with a canvas that is no less beautiful than the empty canvas is to begin with." 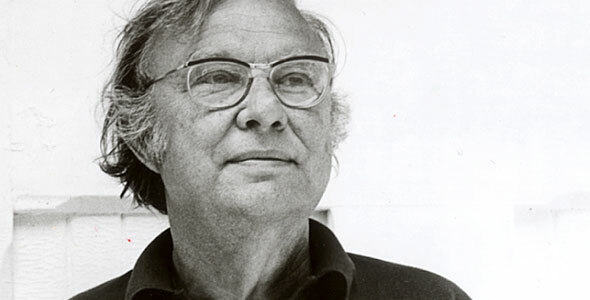 Robert Motherwell was the youngest and most prolific of the group. 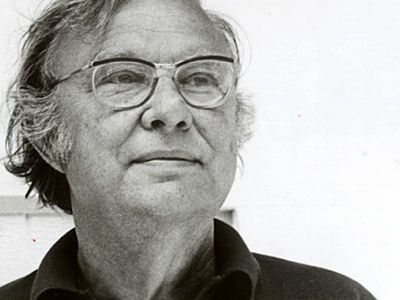 Born in Aberdeen, Washington, in 1915, Motherwell first hoped to be a philosopher. His studies at Stanford and Harvard brought him into contact with the great American philosopher Alfred North Whitehead, who first challenged him with the notion of abstraction. What he took from Whitehead was the sense that abstraction was the process of peeling away the inessential and presenting the necessary. After moving to New York and becoming acquainted with a number of artists, Motherwell recognized in them similar desires. Living in Greenwich Village, he became part of an exciting group of young artists. Forming a community and living on what little they had, the Abstract Expressionists made daring experiments in painting and in the intellectual investigations surrounding it. Their break with the traditional art conventions often provoked the harshest criticism from the establishment. Despite this, these early years were an incredibly productive period for Motherwell—seeing him experiment in a range of media, from painting to collage. His work often expressed the actions of the artist through dramatic and bright brush strokes. Valued for their energetic imagery, they attempted a pure emotional response made real in paint. His collage also concerned itself with an awareness of the presence of the artist in a work. Using torn paper on minimalist backgrounds, he created work that was at once discordant and lyrical. Beyond his individual efforts as an artist, Motherwell played a major role in the intellectual and artistic development of the underground New York art world of the time. Reflecting on those early years, he spoke of their belief that “if the abstraction, the violence, the humanity was valid in Abstract Expressionism, then it cut out the ground from every other kind of painting.” It was this revolutionary sensibility that determined both his life and his art. This work, however, grew not simply from a desire to present a new American art form, but a need to express the major human themes in paint. Like the great masters, Motherwell’s importance can be seen in his attempts at expressing something monumental. With the advent of Pop Art and its concentration on popular culture themes, the art public began to long for the idealism of the Abstract Expressionists. In relation to Andy Warhol’s soup cans, Motherwell’s large abstract paintings began to achieve a majesty in the public eye. Motherwell’s politics and spirituality were welcome reminders of a time when one could make art that did not engage the cynicism of a post-modern era. No longer the black sheep of the art world, Motherwell began to enjoy the fruits of years of dedicated work. It seemed, however, for many of the Abstract Expressionists that the newly found appreciation could not counteract the turbulence of those early years—many dying young or taking their own lives. Though somewhat alone, Motherwell committed himself to producing highly experimental work of emotional depth for the rest of his life. On July 16, 1991, at the age of 76 he died: the last of the great Abstract Expressionists. From the 1949 painting, AT FIVE IN THE AFTERNOON, until the end of his life, Motherwell continued his search for a personal and political voice in abstraction. This search produced a body of work that remains a testament to the human soul and its persistence, and to the genre of abstract painting out of which it came.